Despite the fee, Myanmar’s government is easing visa requirements for Chinese tourist groups, seeing a potential for growth in their number, said Myo Win Nyunt, a director of the Ministry of Hotels and Tourism. 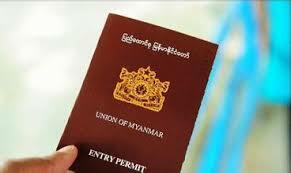 Last week, the ministry sent a notification to the Union of Myanmar Travel Association to inform it of the new visa rules, which will begin on October 1 as a one-year trial. Japanese and South Korean travellers will be allowed visa-free entry by air and land, while tourists from China, including Hong Kong and Macau, will be able to enter with a visa granted on arrival for US$50 per person at airports in Yangon, Mandalay and Naypyidaw. Chinese travellers previously had to apply for visas in advance. According to the ministry’s data, the number of Japanese visitors to the Southeast Asian country, including those on business trip and for other purposes, has steadily increased in recent years, topping the 100,000 mark in 2016. In 2017, nearly 101,500 Japanese visited Myanmar, up 0.7 per cent year-on-year, ranking third by nationality after Thais and Chinese and accounting for 7.5 per cent of the 1.36 million visitors in total. Visitors from Asian countries accounted for 70 per cent of the total.